Stu: This week we welcome Max Lugavere to the show. 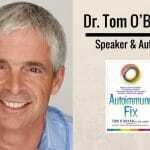 Max is a filmmaker, TV personality, health and science journalist and brain food expert. He is also the director of the upcoming film Bread Head, the first-ever documentary about dementia prevention through diet and lifestyle and author of the soon-to-be released, Genius Foods: Become Smarter, Happier, and More Productive While Protecting Your Brain For Life. Max has contributed to Medscape, Vice, Fast Company, and the Daily Beast and has been featured on NBC Nightly News, the Dr. Oz Show, and in The Wall Street Journal. He is a sought-after speaker, invited to lecture at esteemed academic institutions such as the New York Academy of Sciences and Weill Cornell Medicine, and we are truly honoured to have him on the show. Hey, this is Stu from 180 Nutrition and welcome to another episode of The Health Sessions. It’s here that we connect with the world’s best experts in health, wellness and human performance, in an attempt to cut through the confusion around what it takes to achieve a long lasting health. Before we get into the show today, you might not know that we make products too. That’s right. We’re into whole food nutrition and have a range of superfoods and natural supplements to helps support your day. If you’re curious, just jump over to 180nutrition.com.au and take a look. Okay, back to the show. This week, I am super excited to welcome, Max Lugavere to the show. 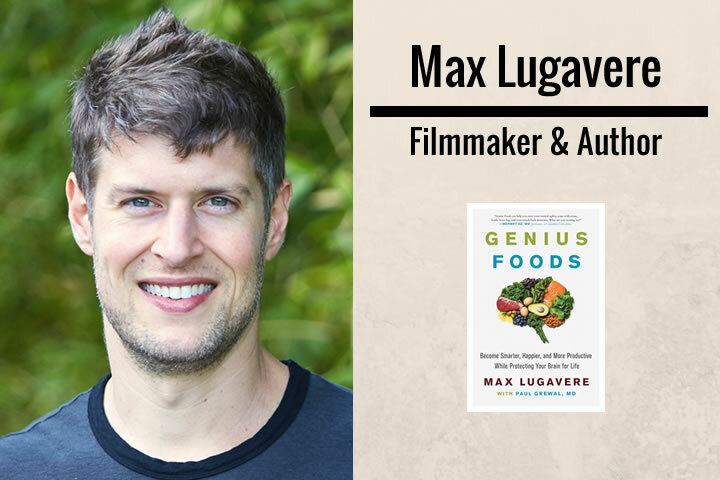 Max is a filmmaker, TV personality, health and science journalist and brain food expert. It’s that brain food that really got me excited to be able to talk to Max today. It’s Max’s passion and obsession to discover how we can safeguard ourselves against dementia, Alzheimer’s and the growing number of neurodegenerative diseases that are prevalent today. This was a personal topic for me as well because my parents had suffered, are suffering the very things that we get deep down and discover today as well with Max. 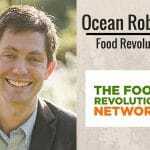 In this episode, we talk about his discoveries during the making of the movie, “Bread Head,” and we also chat about his new book, “Genius Foods,” that help us gain back our mental clarity amongst many other things. So, without further ado, let’s get into the show. Hey guys, this is Stu from 180 Nutrition and I am delighted this morning to welcome Max Lugavere to the show. Good morning Max. Yeah, very well. Thank you. 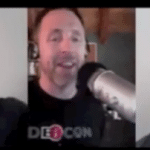 We’re super excited again today to have you on the show because you’re a true pioneer in your specified topic, which for me, is neurodegenerative disease, Alzheimer’s, optimizing the brain specifically as part of the pillars of health. It’s a topic personally as well that is really close to home because we’ve got family issues as well in that area, which I’ll talk to you a little bit later on the show. But first up, before we really get into the good stuff, I just wondered if you could tell our audience who might not have been exposed to your work, a little bit about yourself please. Absolutely. Again, my name is Max Lugavere. I’m 35 years old. I split my time between New York City and Los Angeles. My background is in media. I’m not a medical doctor. 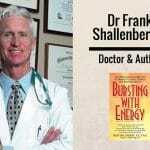 I was a health and science journalist for many years. That sort of began with a five-year tenure working for a TV network in the United States, that was founded by former US Vice President, Al Gore. I worked with him and his team for five years, cutting my teeth with the best of the best in Hollywood, learning how to tell a story, learning how to communicate fairly hot button topics with responsibility and grace. I left current TV to try to figure out where I was going to go with my career. I was in my mid-20s and it was around that time that my, back home in New York City, that my mother started to display strange symptoms of what would ultimately be determined to be a neurodegenerative disease. Basically, for me, I’m my mother’s oldest son. My family’s very tight-knit. I became, basically, obsessed with learning everything I could about what was robbing my Mom of her brain function such a young age. She was 58 when she first began showing symptoms. In tandem with that, with trying to do everything I could for my mother, my mission became bifurcated, essentially, because on the one hand, I was trying to learn why this happened to her, but on the other hand, it became very much about myself and how I can protect myself from ever having to experience cognitive decline and also to protect those that I care about, which is in a way, a sort of selfish thing. The people that I love, I want them to continue to be around me, in good health. I started learning about all of the mechanisms and associations that play when it comes to preserving and ultimately enhancing the way that our brains work. I just decided at a certain point that I couldn’t stay quiet. I realized that while I’m not a medical doctor, my goal, actually, not to treat people one on one, which I wouldn’t be able to do anyway, I really decided to use the skills that I had honed in Hollywood, to help spread this message. I’ve, so far, been pretty pleased with the results. You, me, all of us in the health community, we still have a lot of work to do, obviously. Fantastic. No, that is, yeah, a true pioneer. I’ve said before the show that this hits home for me as well because I lost my mother last year to Lewy bodies disease, which again, is right up there in the neurological disorders amongst Alzheimer’s and others. My father is suffering early onset dementia and these guys are young. They’re under 70. I can see around me as well, that we’ve got friends and associates who are not as sharp as they used to be, who are forgetting things, losing their vocabulary and there needs to be a reason, I think, for me, to be able to understand why is this happening. Because my grandparents were sharp as tacks and lived into their 90s and super coherent all the way to the end. I was intrigued then by where you took your journey and I’m going to focus on Bread Head, so the movie that you decided to direct and launch. If you could just tell us a little bit about that because I thought that was fascinating. Yeah. Well, actually, you and I are very similar in the sense that my grandmother too, was 96 and sharp as a tack until the end. I had an intuitive sense that something shifted between my grandmother’s generation and my mother’s, that led to my Mom’s cognitive demise. I started to look at diet and lifestyle. One of my projects … So, I’ve got two big, big projects that I’m trying to put out into the world and one of them is a book, actually, that’s coming out soon, called, “Genius Foods,” that I just wrote. Got a copy of it here. We can talk about that. Yeah. Oh look, we will. We’ve got a copy in the mail as we speak. We’re excited to receive that one. So, Bread Head was really my first project and Bread Head was all about dementia prevention. In Bread Head, we did a Kickstarter campaign. We raised money from 2,000 people all around the world to get this project off the ground, which really would allow me the opportunity to go to some of our most well-respected academic institutions to interview the researchers that are really pulling this topic into the fold. It’s only very recently that dementia and prevention could be said within the same sentence without tomatoes being thrown out you by the mainstream medical establishment. Today, we have a pretty strong body of evidence to say that dementia, Alzheimer’s disease, might not be preventable for every single person. But we do have pretty clear evidence that for a very significant proportion of people, that it is a, perhaps a disease that is preventable based on modifiable risk factors, based on steps that we can take to increase, what’s called our cognitive reserve to bolster our cognitive resilience against dementia. But there’s a lot of really good research out there. We document all of it in Bread Head. So Bread Head is focused very specifically on that topic, preventing dementia, which I think is very important, very under recognized and also very under recognized as a topic relevant to young people. When you watch Bread Head, it’s not this stodgy … It’s really meant to capture the attention of our generation. Yeah, totally. In your opinion, how much importance do we put on diet in terms of cognitive decline? I say that in relation to a more wholistic approach because sleep, movement, exercise, mindset and nutrition is it … Are your findings largely nutrition based in terms of perhaps the devil where cognition is concerned? To be honest, I happen to be and I’ve always been a nutrition nerd, so I love nutrition. I’m kind of obsessive with it. But I really, in terms of just what I obsess over and what I write about in Genius Foods and even what we cover in Bread Head, I really try to cull information from everywhere. I mean, if it’s relevant to brain health, I’m interested in it. It’s really become a lens through which, topics that I had never been really interested in suddenly have become fascinating to me through the lens of brain health and nutrition policy and things like that. Yeah, exercise, diet and diet timing when it comes to when we’re eating the foods that we’re eating. Even something like … Yeah. What do you do differently now as opposed to before you took this journey and all of your findings and discoveries through your work with Bread Head? My background, growing up, I was very interested in body composition and just fitness. I wasn’t an athlete but I was very interested in how the foods that we eat and the supplements that we take can manifest as a stronger and leaner body. Growing up, I was actually obsessed with superheroes. I noticed you have a Batman comic book in the background. Yeah, I can tell. I can tell. 172, yeah. It’s one of my prized pieces on the shelf that the kids can’t reach. I love it. Yeah, so I mean growing up, I was really into comic books and I was really into superheroes. I had this hunch, I don’t know if it was conscious or not but that supplements in a way, when I first discovered them, they seemed to me to be sort of like the magical potions that could help you transcend your own natural biological limitations, which is essentially to become a superhero. I was really always interested in fitness and whatever, but since I began the journey to really unravel what it takes to help the brain thrive, a lot of those early principles that I held, have become challenged. For example, I sort of, since the age of 14, believed that we have to eat constantly throughout the day. Six small meals a day is something that I remember hearing many, many, many times, to stoke the metabolic [crosstalk 00:12:17]. Right? We’re just gorged on the abundance of food and we are changing, I guess, our core programming for want of a better phrase. Absolutely. I mean, my grandmother and likely your grandmother, I mean they were born … My grandma, I believe was born in the 20s. I mean, this was before the advent of cereal and the notion that breakfast is the most important meal of the day. They also didn’t have the over abundance of highly processed grain and seed oils, which now saturate our food supply. Take oils like Canola oil, corn oil and soybean oil, these oils are predominantly polyunsaturated fats, which are very delicate and prone to oxidation. These types of fats now make up 10% of our calories, up from virtually 0% at the turn of the century. That is having an effect biologically and it’s becoming clear that it’s not a good one. These oils are highly damaging to our health. They have a very high probability of containing trans fats, which we know are very damaging. There’s been a massive shift in terms of the food supply of our grandparents and our parents. It’s been highly industrialized. We’ve basically extrapolated from the earliest inklings of nutritional science. And, usually, from an epidemiological level, dietary policy and dietary recommendations, that continue to be premature. Our earliest dietary recommendations were based on population level evidence, which makes the error of ascribing causality to correlation. This is what our most trusted institutions do and continue to do. It’s a systemic problem and I’m just trying to facilitate health literacy for people. Not because I’m pretending to be a doctor or even a medical expert. I’m just in it for the protection of my brain and the brains of people that I care about. Got it. If you could give three key strategies then to our audience, to everybody, so from all of the information that you’ve gleaned on your journey through Bread Head, what would that be in terms of what could I do today to put myself on a different path to better health, to optimize my brain and have a stab at longevity? Great question. Bread Head really follows a personal story and it doesn’t get super prescriptive because it’s a movie. It’s a documentary. It’s meant to be emotional although, there is a fair amount of science in it. But, “Genius Foods,” my new book is really my prescriptive guide to [crosstalk 00:17:02]. What you should eat, how you should live. They’re very complimentary projects. But essentially, in Genius Foods, we look through the lens of evolution. We look at the conditions and the diet that our ancestors might’ve consumed during the time in which our brains evolved. Obviously, there are certain foods that have become fundamentally changed since our evolution but it’s about emulating that diet and lifestyle in the modern world with a specific focus on brain and brain function. Giving your brain the energy that you essentially deserve, as air to the universe, as most advanced super computer, the human brain. In Genius Foods, I highlight 10 foods that have a robust body of evidence to say that these foods will enhance your brain function. Whether it’s the nutrients in those foods or the foods themselves, these are the foods that are the most nutrient dense. You’re going to get the most bang for your buck and I recommend buying them on loop. There’s research that shows that in the modern supermarket, dietary diversity is actually a terrible thing. Dietary diversity as a hunter-gatherer, probably a great thing because we have 50,000 edible plants all around the world. But in the modern supermarket, dietary diversity adds up to the fact that 60% of the calories that we’re consuming today come from ultra processed foods. I’m like, “Look, screw everything in moderation. Take these ten foods and the categories that they represent and buy them on loop.” The healthiest people, this is research done out of University of Texas, tend to buy the same foods with regularity. I think that’s true as well because you’re programming habitually. You’re on default. You know what you’re going to eat. In some respect, that’s why Steve Jobs always wore the same colored turtleneck and why Jony Ive from Apple always wear the same colored T-shirt, because you don’t have to make any other assumptions every morning. What am I going to wear? What am I going to eat? Just bang, default. I know what’s good for me. I’ll continue to eat that. Were you surprised by the power of any particular foods while researching for the book? Definitely, dark leafy greens I would say. There’s a strong inverse relationship between their consumption and risk for dementia. But it makes sense that they would be very beneficial because, first of all, they’ve go very few calories and tons of nutrients. So in terms of nutrient density, you don’t get much better than dark leafy greens. But Rush University research found that consumption of a large salad with dark leafy greens every single day is related to brains that look 11 year younger on scans. Wow. I don’t know whether you’ve spoken to Dr. Terry Wahls from The Wahls Protocol and what she did to combat MS and it was essentially a rainbow salad, bucket of multiple times a day. She found that the nutrients involved in that were unbelievable in terms of the therapeutic value. Yeah, and you know, I’m a big fan of Dr. Terry Wahls. She was probably one of my earliest exposures to the notion that the brain has dietary needs that are not being addressed by the standard American diet. Yup. Absolutely. I think that grains, they get a rap. Whether that’s right, whether that’s wrong. I mean, it’s a huge subject of conjecture. I think a lot of us are emotionally connected to grains in some way, shape or form. What are your thoughts on pseudo-grains? And I’m talking about things like buckwheat, quinoa, ancient grains perhaps, like Ezekiel bread. All of the other options that are touted as healthy on the healthy [crosstalk 00:21:25]. Yeah. I definitely don’t ascribe to the zealotry surrounding the anti-grain movement but I do acknowledge the fact that today, 60% of people are either diabetic or pre-diabetic. Or I’m sorry, 50% are the latest statistics. People in the United States are either diabetic or pre-diabetic. That’s a pattern mirroring the world at large, as well as our Western dietary patterns slowly bleeds around the globe. In that context of what is essentially carbohydrate intolerance, do I think that these foods are healthy for half of the population that are probably going to be listening to this podcast? No. I think there are better options to fill up the limited real estate on your plates and in your stomachs. Going back to dark leafy greens, avocados and things like that. If you are metabolically healthy and if you are working out, then yes, I think that, perhaps, having some of those grains occasionally, can serve some kind of effect. A limited benefit but I think that in the post workout window, they can be useful in terms of replenishing muscle glycogen, which you don’t need to do all the time. But I think in terms of maintaining your ability to perform high intensity work in the gym, it could be potentially useful. I’d probably rather go for a sweet potato than quinoa. And your thoughts on gluten? It’s that G word again. Yeah. I think that gluten is problematic for a pretty significant amount of people, particularly in the context of the standard American diet. Actually, I do think that gluten, if I had to place money on it, I would suspect that gluten was involved in my Mom’s condition. It’s something that I avoid. I’m on a gluten-free diet. I don’t have overt symptoms when consume it. Not that I can remember anyway. In your average dietary protein. Just to sort of punctuate that, gluten is not found in any essential food group. Gluten is found in foods that are energy rich and nutrient poor. I think it’s one of those things that really doesn’t have a place in the optimized human diet. I tend to agree. We had a chat as well, a while back with Dr. David Perlmutter. He wrote a book called, “Grain Brain,” and was looking at the changes that have occurred in modern day agriculture, especially where wheat is concerned in a hybridization, I guess, which is a process where you change the crop to be able to suit the environment and produce more yield, making it more susceptible to droughts, to floods, to insects. What that essentially did in his words were, “Create a new form of wheat that the body just did not know what to do with and caused all manner of metabolic issues,” because it was, as you said, it’s almost an invader. Well, it’s one of these proteins that, there’s this phenomena called molecular mimicry. Plants want to survive too. The markings on gliadin, the gliadin peptide, seemed to look a lot like the markings on certain enzymes in our body that are concentrated in the brain and the thyroid. Celiac disease seems to be this sort of mediator for a wide range of seemingly disconnected autoimmune conditions. The earliest medical condition that my Mom developed was hyperthyroidism. My mom never had any overt gastrointestinal distress from eating bread. My Mom was raised in New York. She grew up on bagels. I mean, today, when I even mention the word celiac to her, she’s like, “How could I have celiac?” But it’s a theory that I have that this was involved in the condition that she developed. Perhaps indirectly or directly, but. Yeah, so I think it’s worth hedging your bets or at least minimizing your consumption of it. Yeah. For sure. I think so. And is gluten the modern tobacco as some people have claimed? I don’t know. But I just think it’s one of these things that we can … Take lectins for example. Glutens are a form lectin. Lectins are another class or they’re a class of plant proteins that include gluten. I think that you’re gaining a lot more by eating a bell pepper and a tomato than you are causing any risk of harm to your body. Whereas, I don’t think that eating bread really is worth the risk that you’re also going to take by consuming gluten because bread is just starch, essentially. So, it’s all about weighing the cost versus the benefits. I think so. I’m always intrigued to look at the nutrition on any given food. How can I super charge each and every meal? How can I get the most nutrition and nutrients out of everything that I put into my mouth because, like you, I want to optimize my health. I want to live as long as I can. I’ve had issues with parents and realized that I share similar genes to them and maybe that’s my fate too but I want to do as much as I can based upon new discoveries, new science, new thinking. To be able to give myself the best chance. Just back on Genius Foods, what can we expect? So it lands on my desk. Am I to expect a meal plan? Do you talk about exercise and sleep? Is it just food focused? What’s inside? Well, first of all, I think that your … What I’m so excited about, I’m really excited to hear the feedback from the people that read it because, unlike most health books, I think it’s actually going to be fun to read. Because before I began writing it, I was really interested in evolution. I was probably inspired in many way by a book that I read recently called, “Sapiens,” which a lot of people sort of gravitated to. It’s a very well-written book. I really labored. First of all, I wrote it myself with the help of my friend, Paul Grewal, who’s a medical doctor. I really wanted the book to be entertaining, to ignite light bulbs in people’s heads, to really give them a new way about thinking about these topics. It’s not just a rehashing of the same old information. So when I talk about the value of Omega-3s for example, I wanted to know exactly why Omega-3s are beneficial to the brain. basically went deep into the literature to really come up with analogies and examples to really make this stuff click for people. Because you could be told a million times that Omega-3s are good for you, the same way that so many people know, all people know at this point, that smoking is bad for you. Does that change behavior? No. So in Genius Foods, I describe things in a way that I don’t think they’ve ever been described in previous books. It’s got a sense of humor. The book is littered with pop culture references that people are going to appreciate because I wrote it. I think just from a purely entertainment standpoint, which I think is important, when it comes to impacting people and to creating something of value for people. I think Genius Foods is really going to be a unique offering in this space. In terms of the science and the research, we highlight the foods, as well as the categories that they represent. How best to buy them, how best to integrate them into your diet. We have an example weekly meal plan, as well as a robust shopping list and various other tips that you can use to put the dietary principles that we’re prescribing in Genius Foods into play in your own life. Every chapter is punctuated with field notes, basically summarizing what you’ve learned in the chapter. Yes. Max: And throughout every chapter, we have frequently asked questions. First of all, the frequently asked questions, we also have side bars that really break up the text in an interesting way so that there’s multiple stopping points. So you could read a little bit, stop, come back to it, read a little bit, stop, come back to it. You could read the whole book through. You can use it as a reference. And it’s packed with scientific references. There’s over, I think, 400 scientific references in the book. It’s a very robust tome and you can almost tell, some of your listeners I’m sure are not getting the video, but it’s a thick book. Yeah. It’s funny you ask. The book launch period in particular has been rough. I don’t have time to go to the gym. When I’m going to get to work out? No, it’s been yeah, it’s not easy but whatever it is. That’s right. The fruits of labor. Look, it will be worth it. I can’t wait for our copy to arrive. In the book, do you talk about supplementing as well or is that taboo? We do talk about certain supplements in the reference section of the book. There are a handful that I think are definitely worthwhile. But by and large, we recommend taking a whole foods approach. Which contain nutrients that we recognize, nutrients that we have yet to identify. We really try to drive home the point that at the end of the day, going for whole foods is probably the best thing that you can do and then if there are certain nutrients based on if you have certain dietary restrictions or … It’s not a vegan diet but I’m sure that there will be vegans that pick it up. I try to touch on ways that vegans could augment their diets for optimal brain function because a vegan diet, I think, from the standpoint of the brain, doesn’t make a lot of sense. I don’t think it’s the end of the world necessarily if you adhere to the principles in the book. No. I think so. Veganism is always a very contentious topic as well because I think that following a Vegan diet for a set period of time could be very cleansing if you’re transitioning from the standard American, Australian diet. You’re subject to a whole world of nutritious foods. But over time, if you’re not very smart with supplementation and thinking about perhaps the nutrients that are lacking in your diet any given time, that are subject or are found in meat and fish, you will probably suffer in some way, shape or form in terms of health. It certainly pays to track your markers if you’re following that diet as well, through blood and everything else just to make sure that you’re on track because we’re all so radically different. I guess a little bit backtracking to Bread Head and also touching on Genius Foods as well, I’m very interested in your specific strategies that you follow. Maybe they’re routines that you do every day, they’re non-negotiables that you make sure that you just happen day in, day out to be the best version of yourself. What do you do every day without fail? Great question. First of all, I try to optimize my sleep. I try to wake up in the morning and not immediately reach for my smartphone. That, I think, is very important in terms of the way that the rest of my day unfolds. So when I don’t have to wake up with an alarm, I use my smartphone as an alarm. But generally, I try to sleep with my smartphone in another room. I try to make sure that my room is very dark and cool. Then I wake up, I get out of bed, I open up the blinds. When I have the ability to go outside and look at the sky and really take in the bright light of the day. I do that. Maybe if it’s a little cold outside. I’ll go outside in my underwear just to get that cool air to jolt me into wakefulness. I’ll drink some water if I’m doing a particularly low carb phase of my diet. I will throw a little bit of salt in that water, particularly in a mineral rich, non-processed salt. That’s one of, I think, the more impactful tips that I can offer people. People will be going, “Right, well I want to do that.” We’re talking sea salt, Himalayan pink salt, how much salt would you put in there? You’re talking a teaspoon? Yeah, about an eight to a fourth of a teaspoon. Right. Not enough to make you gag? No, no, no. I mean it should taste kind of like flat pellegrino. Or like one of these mineral and rich sparkling waters. Yeah, I think that’s been super useful. And then usually I’ll wait about a half a hour to 45 minutes after I wake up to drink some coffee. I usually have some black coffee. Oh, no. I was going to say, a lot of people wake up dehydrated to begin with. We tend not to drink a lot of water before we go to sleep so that we don’t pee and we perspire when we sleep. Just in general, it’s a good way to sort of rehydrate yourself. Hydration is very important when it comes to proper cognitive function. It’s an underrated or underappreciated way in which you could boost your cognition. In the book, I talk a little bit about how acute physiologic stress can actually be very beneficial but water dehydration is one of those stresses that’s actually quite dangerous. Being dehydrated, not a good thing. I drink a little bit of coffee. Then and hour, two, three after I wake up, I’ll generally have my first meal of the day. Usually one of two. That typically includes a huge salad. I really try to hit a salad bar that I like and just load up with spinach, kale, arugula, beets, things like that. I really want to get all those micronutrients in that are really packed tight in foods like dark leafy greens as we mentioned. Lots of extra virgin olive oil is the primary oil that I use. And protein of choice for that? Generally, I’ll throw in chicken or maybe an egg but usually it’s chicken. It’s just easier to get higher quality chicken, I think, than it is grass-fed beef on the run. But that’s changing too. Then, I try not to snack so much throughout the day but when I was writing the back and I was working out of home, I was snacking constantly throughout the day. I was eating whenever I could. I try to make my snacking optimal so it’s usually, nuts, dark chocolate. I’m a big fan of pastured pork rinds. Rendered in their fat with nutritional yeast on them. It’s a very delicious snack. Yeah, pretty good, pretty good. You just want to make sure that you’re getting high quality pork skins. Sardines, canned oysters, I’ve become really interested in. Drinking water, staying hydrated. Then I would say the last meal of the day, I tend to go big on grass-fed beef. I’ll usually do a grass-fed beef burger patty or wild salmon, lots of roasted vegetables. Again, using extra virgin olive oil liberally, like a sauce. That’s it. Over the course of the day, I might get a workout in. My workouts vary. Sometimes I do yoga. Sometimes I go and I do really high intensity stuff and really into the battle ropes. A lot of fun with those. But I also happen to personally really enjoy weightlifting, which I think … I have a bias towards weightlifting but upper body and lower body strength is related pretty strongly to brain health and brain function. Male, female, young, old, I think everybody should be lifting weights or at least doing body weight [crosstalk 00:41:49] lift. Yeah. I tend to agree. So beneficial for so many different areas as well that we might not be as familiar with. I think it puts you in that mental state when you’re lifting very heavy weights. You really can’t think about very much else apart from lifting the heavy weight. Well, again, when looking at these things through the lens of evolution, it becomes pretty easy to assess. It doesn’t make any sense from an evolutionary standpoint, that we would run at moderate intensity for 45 minutes. I mean, think about optimal foraging theory. We want to conserve energy, right? We weren’t always able to summon our meals with our smartphones. We would conserve energy. We would just move more throughout the day. We would work field, we would tend to our families, we would build huts or whatever it is that our ancestors would do. But we wouldn’t run for 45 minutes straight. Actually, run away from the lion. We probably wouldn’t chase a lion. We would chase zebras and things like that. Yeah, so I mean, that’s why I think exercise should be kept low and slow or hard and fast. There’s no middle ground. Research on endurance athletes shows that it’s problematic. Maybe not in endurance athletes but for your average person, it’s really hard on the joints, it’s hard on the lower back and also, these endurance athletes, they’re cortisol becomes chronically elevated and they develop undue intestinal permeability. Due to the stress and the cortisol. I mean, that’s just not a good situation to be in. And our grandparents didn’t do it right? I mean, you look at the worlds blue zones, which are … These are observations that you can make on populations that seem to have successful agers in them and none of them have fancy gym memberships. No, absolutely not. We actually spoke to Dan Buettner a couple of weeks ago. Yeah, it was amazing. It was all about community, lifestyle, movement, destressed, wholesome food, the preparation of the food. It was very more low key and slow than our hectic lives today. But yeah, I’m in complete agreement. Max, we’re getting close to time. We’ve got a few wrap up questions as well that we just want to shoot through, before I leave you to the rest of your day. The first one, a little bit of a curve ball. If you could distill all of your specialist knowledge, so everything that you’ve learned on your journey about brain health and optimizing yourself, just into a take home piece of advice, just like a single … “I’m going to lift like Max. How do I upgrade myself quick? I’ve got to get out.” What might you say to me? Oh, man. Because it’s really all there. I left nothing on the table. I guess, I would say, look, eat whole foods, avoid process foods and exercise as much as you can. Do what you love to do and don’t stress too much. Yeah. Fantastic. So, Genius Foods, where can we go to get it? Where can I send my audience to find out more? I’m grateful for that. Yeah, it’s available everywhere books are sold. If you’re in Australia, I’m aware of at least one website, Book Depository, that has free international shipping. Yeah, Amazon, Barnes & Noble. It’s available everywhere books are sold. And you could go to geniusfoodsbook.com also, where, depending on when this goes up, we have some really cool early bird specials for bonus content, stuff like that. Right. Fantastic. Well, we’ll share these links in the show notes. What next, Max? What’s next for you? That’s an interesting question. I definitely want to do a lot more speaking, which is something that I’m really passionate about. I love talking to people one on one. I like speaking to audiences. I really just want to be able to create more media, more content. I’d love to increase my productionability. I’m thinking about maybe doing a video podcast as well. But, yeah. I had a wonderful time writing Genius Foods and so I hope to maybe expand that catalog a little bit. Maybe, we’ll see. And I really do want to get Bread Head out there for people to see because I’ve been working on Bread Head for four years and it’s not out yet. We’re trying to figure out the best means of distribution. Right now, we’re looking at a few different options but nothing sort of settled at the moment. We’ll have that out at some point this year. Fantastic. I look forward to it. How can we get more of Max Lugavere? Where do we go? Instagram and maxlugavere.com. I’m on Facebook, I’m on Twitter, Instagram, I’ve been most active lately. But yeah, I’m on all social media forms. Brilliant. We will share that across all of our platforms. Max, thank you so much for your time today. Really appreciate it. You’re doing amazing stuff and can’t wait to read that book. Thank you so much. I can’t wait to hear what you think. Okay, I’ll let you know. Thanks again Max. Bye-bye.